If people are leaving your site, it's important to know that it's even happening. When you measure the bounce rate of your site, you can track the rate at which people leave your site after only viewing one page. A high bounce rate can mean bad news if you need your site visitors to view more than one page. Typically, this is the case if you want to achieve success and convert site visitors to paying customers. By measuring your bounce rate, you can make changes that can help encourage visitors to stay on your site, such as adding relevant content on your home page. It's vital to measure the speed of your site as it directly impacts the customer experience and can even impact search engine ranking. There are several individual metrics that help you determine how well your site speed is, including the Avg Page Load Time and Avg. Page Download Time. You can use these metrics to determine how long it takes for your page to download and how the download of a page from the moment a site visitor clicks on a page link to the time the page load finishes downloading in the browser. You can leverage these metrics to easily spot trends so you can take action to fix an issue that may be hampering site traffic, such as upgrading your web hosting services to accommodate increased crawl rates for mobile sites or additional traffic. By monitoring these speed-specific metrics, you can enhance the customer experience. Knowing the average session duration can help you differentiate real prospects from spammers. For instance, an obvious giveaway that the referral traffic you may be receiving is spam is that there is no Average Session Duration. You can also use this metric to your advantage to determine if something requires further investigation, such as a landing page with a simple contact form that is taking site visitors three minutes or longer to fill out. The more pages that people view on your site or app, the more likely they'll be engaged with your content. Thus, it's important to keep track of the Pages Per Session. Use this metric to benefit your business goals to determine whether the content on a page may be encouraging engagement or hindering it. Knowing the source of your traffic is essential for understanding how to best adapt your content for different audiences and the various devices they use. Google Analytics offers several types of traffic to measure, including referral traffic, organic traffic, direct traffic and paid search traffic. By knowing these metrics, you can better allocate your marketing budget to the channels that are driving qualified traffic. 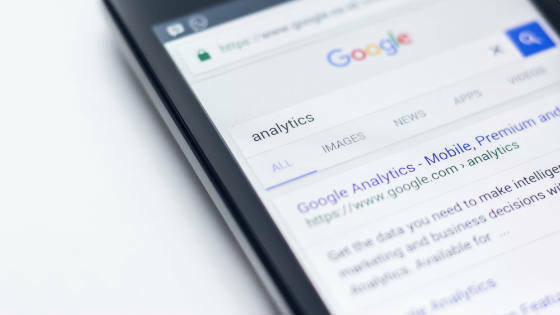 While these may be some of the most helpful metrics Google Analytics has to offer, ultimately, the best Google metrics to use will depend on your line of business. Decide which metrics will help you achieve your business goals the best way so you can get the most out of the insight you gain. CWS Scores Inc. 5000 Spot for Third Consecutive Year!